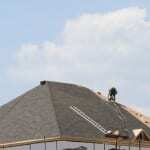 At Slippery Slope Roofing, we can take care of all of your roofing needs. Our trained team of roofing professionals can provide you with quality roof replacement, roof repairs, and installation of new roofs. We are accredited by the Better Business Bureau because of our excellent roofing experience and our great customer service. You can have peace of mind knowing that you have an experienced company working on your roof. We also only work on one project at a time, so we can put all our attention and resources into your roof. We will show up on time and ready to work for the duration of the project. If you are not sure if you need roofing services, we will always come out and inspect your roof to see if there are any problems. If you have patches of missing shingles, your roof is leaking, or your roof is sagging or bowing in places, you probably need roofing services. If you ignore problems with your roof, they will not fix themselves; they will only get worse. You will start having leaks that can damage your ceiling and sheetrock, or even flooring and furniture. Plus, with water comes mold. If your roof is leaking, you could have mold problems that will make you and your family sick before you know it. If you really let your roof situation get worse, it can collapse in places and can significantly damage your home. Don’t take any chances; call us at Slippery Slope Roofing today for any roofing problems you suspect you might have. 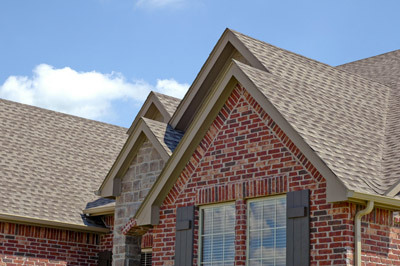 We have been providing the Midhurst, Ontario area with quality roofing services for years. We have over 50 years’ worth of experience replacing, repairing, and installing roofs in your area. You can trust us to do quality work that will last for a long time. We will work on your roof and only your roof until it is done. We keep a clean worksite and will take care of all cleanup as well. You can count on us to do a great job on your roof! At Slippery Slope Roofing, we offer high-quality roofing services in Barrie, Orillia, Bradford, Alliston, Newmarket, Cookstown, Beeton, Innisfil, Angus, Collingwood, Wasaga Beach, Oro-Medonte, Midhurst, Midland, New Tecumseth, Clearview, Bradford, Essa, Stayner, Springwater, and surrounding areas of Ontario.